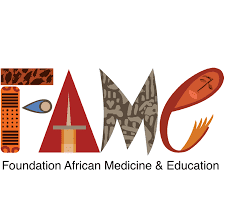 The Foundation for African Medicine & Education (FAME) is looking for a Volunteer Coordinator to manage its volunteer program at FAME Medical Health Center, a small community clinic and hospital in rural Tanzania. Applicants should be willing to live and work on the FAME Medical campus, located in the District of Karatu. The Volunteer Coordinator is responsible for responding to inquiries, scheduling volunteers, processing required paperwork, orientation and daily management of volunteers onsite and working with support staff (cooks, housekeepers, etc.) to ensure the volunteers’ stay is comfortable. The volunteer program hosts up to 60 medical volunteers each year. Additional duties include documenting volunteer experiences, providing administrative support to other departments, and helping with special projects/ data analysis. He or she must have excellent interpersonal, organizational and communication skills (written and oral) and be hospitality oriented. A high level of computer literacy is also important. To learn more about the Foundation for African Medicine & Education and our work at the FAME Medical Health Center, please visit www.fameafrica.org. Email your cover letter and resume to [email protected] Please format the subject line as “Volunteer Coordinator Application: Your Name”. We will contact shortlisted candidates for an interview after the application deadline.